Dale the Dalek is back with a fresh challenge to local people to help raise money for Children’s Hospice South West. Dale’s owner, Keith Walker, is following last year’s crazy golf spectacular with something more mellow, to allow his garden to recover. This year’s challenge is to count the pea sticks in his front garden at 48 Thornleigh Road. Keith said: “When I dismantled the golf course I discovered that after 1,000 people had walked on the garden it was like concrete. My wife Carol asked me if we could let the garden go fallow this winter, so I’ve gone and put some canes in the garden for people to count. “I’ve put up a piece of blue rope too in case a tie breaker is needed, which will be to guess ‘how long is a piece of string’. “We’ve already had our first entrant. 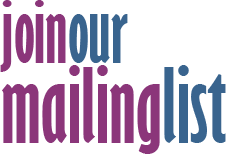 I’m asking people to come along, leave at least a pound donation and make their guess." Last year Keith set a target of raising £1,000 and surpassed it. He’s hoping to do that again and has a number of prizes that the competition entrants can win including a £30 Tesco voucher, a blender from Nailsea Electrical, a £20 voucher for Tinto Lounge, a meal for two at The Grace, £20 voucher for Pizzarova and £20 to spend at Murray's Butcher. The competition will be running until the end of February and as always there will be plenty of action happening around Keith’s house during February’s Window Wanderland event. Keith collects money each year for Children’s Hospice South West who helped to care for his nephew while he was ill for many years with Muscular Dystrophy. 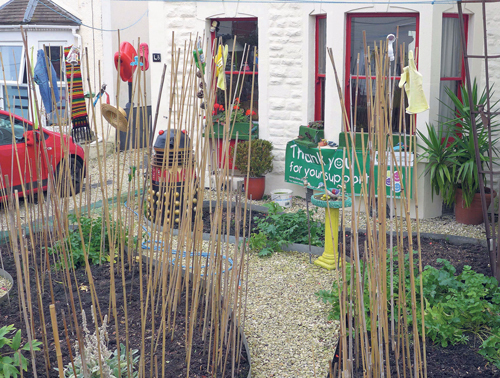 This front garden in Bishopston has seen some action over the years due to Keith’s many offbeat charity challenges. He first made headlines with his popular Dale the Dalek display, and followed that up with a beach theme in the middle of winter, a stage for Bristol Has Talent, and last year’s incredible crazy golf.